Rachael Ray has signed a three book deal with Atria Books. The Book of Burger will be the first book published under the agreement. It will arrive in stores in early summer 2012. Rachael's Year in Meals will be published in the fall of 2012 and a third book will be published in 2013. Rachael Ray will also publish titled by up and coming cooks and food writers with Atria Books through the Rachael Ray Presents imprint. Rachael says, "I couldn't be more excited to be working with Atria Books. They are the perfect partner for me to collaborate with in bringing books to life for our readers in many new ways - especially on the digital front. And the 'Rachael Ray Presents imprint will allow me to continue to develop new, emerging talent and help them to bring their content directly to consumers." 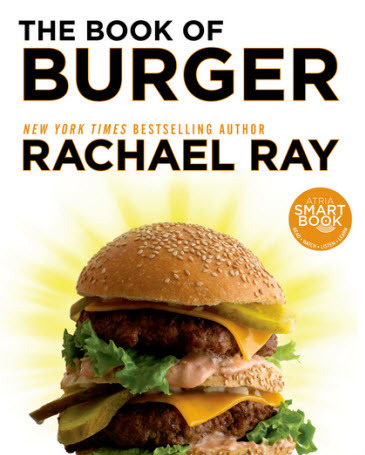 Rachael Ray has sold over ten million copies of her 20 published books. She has nine No. 1 New York Times bestsellers, which is an impressive accomplishment.